Today I easily identified myself by reading my friend’s @stevebaker blog post on “Smart Systems, dumb ones, and privacy”. I read his blog posts on thethenumerati.net periodically although only in a few occasions do I comment in them. 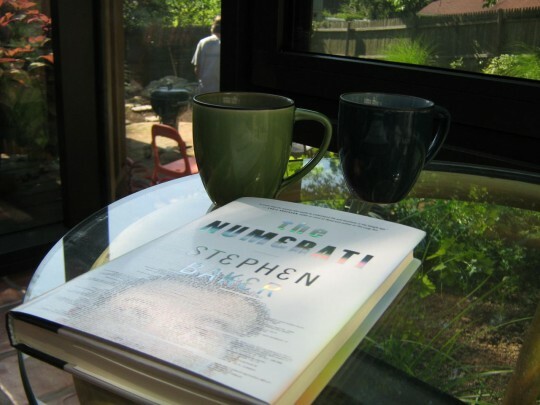 I started reading @stevebaker content while he was working at Business Week where I saw an article written by him describing his new book The Numerati. I had a difficult time trying to get his book here in Puerto Rico lucky enough that I had to travel to Washington, D.C. on business and found it at the Dulles Airport. I would have never thought that by reading his book I would have the opportunity to contact him. A few weeks after buying the book I saw that he had a contest (Contest: Find the hidden pointer in Numerati cover) on deciphering a code he had put in the book cover . After many tries and some Guidance from @stevebaker I was able to decipher what the code meant which landed me an extra copy of The Numerati. Ever since that experience I try to get to his blog thenumerati.net at least a few times a week to see what he is writing about. I have also bought copies of the book to hand out to my clients so they can see where we are going with data. Getting back to where I easily identified with the article as an IT Governance, IS Security, and IS Auditing consultant I get many questions regarding privacy and emerging technologies. I see many benefits, but it becomes a sometimes impossible task (depending on who you are dealing with) for me to explain those benefits for most of these folks who are in the IT Risk, IT Security, IT Governance, and IT Audit field. I try to embrace technology and look for the benefits that each and every software or hardware brings me and my nature also makes me evaluate the possible risks that are attached to them. I could not have put it better than in the words of @stevebaker. Once again he has helped me understand and explain some of the many benefits that emerging systems and technologies are bringing. As @stevebaker said these old computer systems do not know us. Just think of all the great opportunities that having open systems that know us can bring us. Can you mention a few other that @stevebaker did not mention on his post?